You guys you have to check out this May feature on Twyla Jones's website! She curated a really beautiful gallery of images and are featured HERE. She is so amazing at her craft and really knows how to beautifully display photography. This image was taken at the Unraveled Retreat in Utah during Twyla's class. As Twyla was giving instruction, little Sage ran across the field and stumbled on a skeleton of what looked to be a cow. 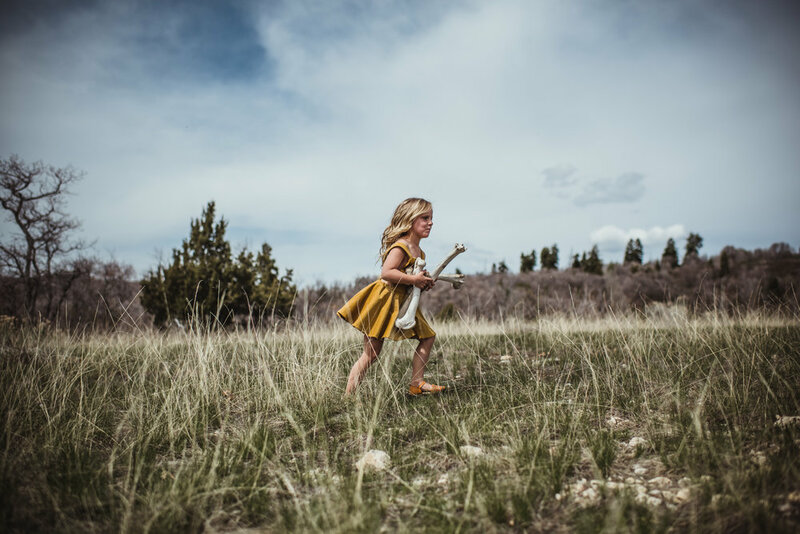 She was so excited about her discovery, she scooped some of the bones up and ran back to show her Mother. In that moment, Twyla and I looked at each other gaped at the sight. Glad I had my camera handy to catch this photo too. Truly and unforgettable day and always honored to be recognized by her.